With the increasing importance and use of online map applications and the evolution of those applications towards a social platform, your company presence on those websites becomes a real asset in your online real estate. In short, you can use these applications to literally put your business on the map. Besides that, a company can promote its different offices, its website, products and services. But it’s also possible for customers to review your services or comment on your products. Keeping an eye on those comments and acting upon them is necessary to improve your online reputation management. 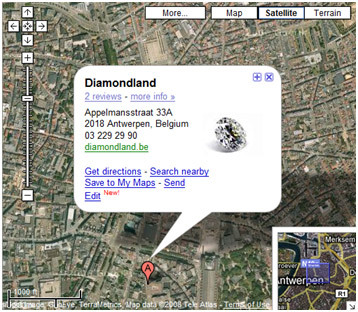 With universal search, maps are also being shown in the SERP’s (Search Engine Result Pages). So whenever someone is looking for your company it might be handy to not only having your own website show up, but also a map where your company can be found. Microsoft has built a comparable service called Live Search Maps. It has some extra features compared to Google Maps, but it isn’t that successful yet.